chosen as their Q element will be featured in their post. If you have just hopped onto my blog, please start at the beginning at Linda's blog. 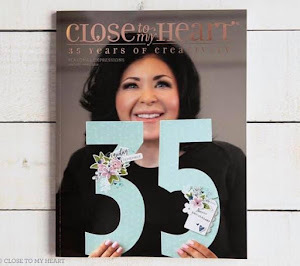 If you came from Elizabeth's blog then you're on the right track! What represents the letter "Q" in my CTMH world?? Today it is the new "Quick" Cards - Bright All Night Hostess Reward stamp set. 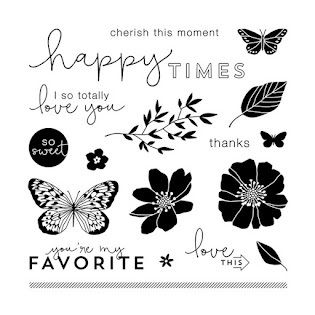 You have got to love these new stamp sets exclusive to hostesses!! The card base is the CTMH White cards and envelopes. 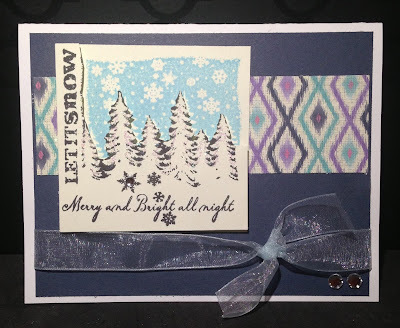 I used a sky card stock mat followed by another mat using the Sarita paper pack. I tied a bow using the Color Ready Seam Binding Ribbon. I stamped the image using black ink. I used a little bit of glue around the trees and sprinkled it with Prisma Glitter however I could not get it to show up on the picture. I added two light blue sparkles but the lighting didn't pick them up. I again used the CTMH white cards and envelopes. 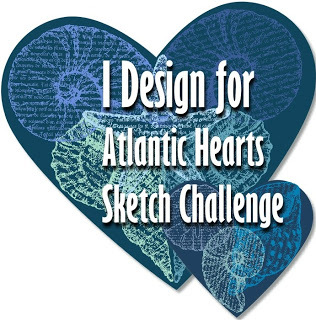 I used a different patterned paper from the Sarita paper packet. I tied a bow using retired CTMH ribbon. For this card I stamped the image twice, in black and sky ink. I cut out the black negative space and used 3-D foam to adhere it on top of the sky blue image to give it the blue sky background. 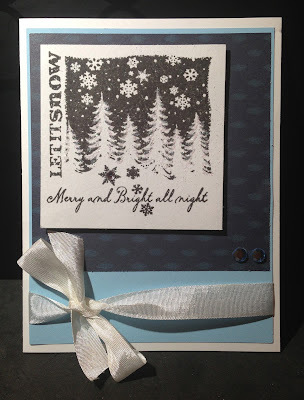 I again used the Prisma Glitter to add sparkle and an snow effect around the tree. I really like the many ways you can use this stamp set. 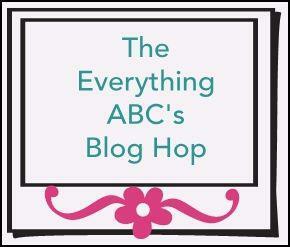 Your next stop on our Everything ABC'S blog Hop is "Linda's of Scrappy Therapy.